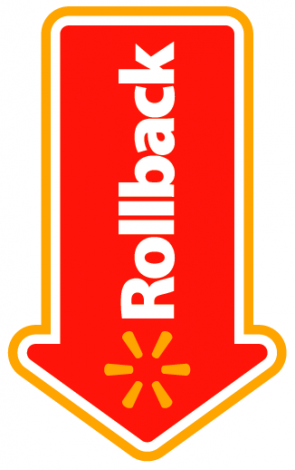 Here’s a sneak peek of the national Walmart Rollbacks you’ll see in stores starting 5/16. Be sure to check out the weekly Walmart Deals for even more bargains! Wow…what is the deal with ketchup prices in HI,OK and WI ??!!! I knew groc cost more in HI but I didn’t think it would be by that much.. and why also in OK and WI I wonder. Interesting. I have a Sunshine Award waiting for you over on my blog! Come check it out! I said “Holy Cow!” when I read the prices on the ketchup for HI, WI and OK! Seriously, what is up with that!? Oops, there’s a bit of a typo there — the Heinz ketchup is $1.18 in Hawaii. I’m not really sure on why those two products have higher prices in HI, OK, and WI. I have lived in both hawaii and oklahoma and all walmart prices are higher than other states in both hawaii and oklahoma. Hawaii is reasonable, import. But oklahoma?? Its in the middle of the us… why? My blog site is in the exact same niche as yours and my visitors would really benefit from a lot of the information you present here.